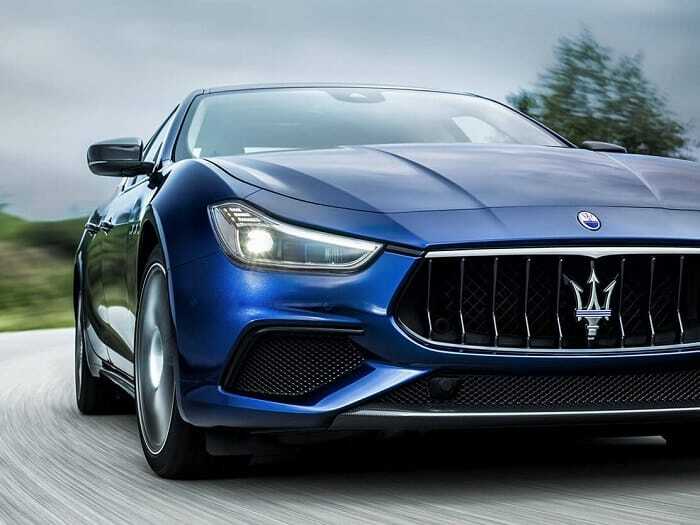 High tech safety features are incredibly important in the world of the modern luxury cars and yet, the Maserati Ghibli S Q4 is lacking quite drastically. For a starting price point as high as $80,000 it seems to have completely forgotten about rather standardized features in the world of luxury cars. To see this one only need to compare to the BMW 550i, starting at $67,500. The BMW 550i has 445 horse power, a 360 degree camera system, blind spot monitoring, a lane departure warning system, a night vision camera, and auto-breaking (price rises to $75,000) with the all the add ins). The Maserati Ghibli S Q4 has 404 horse power, and nothing else. Yes, you read that right. The Maserati doesn’t offer any of the features mentioned above and still manages to boast a starting $13,000 more than the BMW 550i. Another huge let down of the Maserati Ghibli S Q4 is it’s interior design. Though it has the general luxury feel of a Maserati, the window controls, start/stop button, and headlight switch are almost identical to the Dodge Grand Caravan compact car. The reason for this? Maserati is owned by Fiat who also own Chrysler, the producer of all Dodge cars. It seems that they took most of their button design straight out of a middle range car and plopped them into a design that is supposed to be considered luxury. On top of that, there are at least 3 blank buttons in the car (2 on the steering wheel and 1 on the center console), something that you would never expect to see in a car that claims to be luxury. To add to the design flaws of the Maserati Ghibli S Q4, one need only take a seat in the back seat of this car. In an effort the give the car a sleeker look the Maserati Ghibli S Q4 sacrificed a whole lot of head room in the back seat, making for an uncomfortable space for virtually anyone over 5’5. To make the situation worse, in this already claustrophobic environment, the window doesn’t even roll all the way down. Also See: Darkness Envelopes A Special Edtion Ghibli. Now the question is does the Ghibli S Q4 have any redeeming qualities. Well, owners of the car do say that the engine sounds are as satisfying as ever so thankfully Maserati didn’t let us down in this sphere. But, as one owner of this unfortunate car mentioned, premising with highlights of a terrible Bluetooth system, painfully intuitive shifter, and unreliable keyless entry, the street cred that you get in this car is still felt quite strongly. Drivers on the road will yield to you at a four way stop, last parking spaces are often given without question, and when exiting your car you’ll get the occasional “Nice car!” comment. Yes, it’s undeniable that the Maserati brand still has a strong hold on the modern American, and the exterior does look and feel just as lavish as any other car by the same brand. However, the letdowns in interior design and high tech features remain unforgivable for the car’s price point. Do you own a Maserati Ghibli S Q4? If so, what have your experiences with the car been? Do you regret purchasing it and if not tell us why in the comments below! The current 2018 Ghibli does offer more power and some of the features you claim it doesn't have. Also, just because a car may lack in features doesn't mean it is a bad car. It is a Maserati, the whole point is to have a wonderful driving experience.